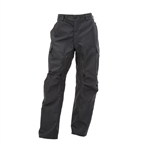 The CX Wildland Vent Pants are the perfect balance between protection and comfort. Each feature in these wildland fire pants was specifically designed to battle against heat, sweat, and discomfort. The Ethos wildland fire pant is extremely durable while also being extremely comfortable and breathable. Constructed out of Tecasafe Plus 7oz and reinforced with Advance 7.2oz in the rear, knee, and instep areas. The Ethos wildland fire pant is extremely durable while also being extremely comfortable and breathable. Constructed out of Tecasafe Plus Ripstop 7oz and reinforced with Advance 7.2oz in the rear, knee, and instep areas. The CX Wildland Vent Pant design with 7oz Tecasafe material provides the perfect balance between protection and comfort. Each feature in these wildland fire pants was specifically designed to battle against heat, sweat, and discomfort. The CX Wildland Vent Pant design with 7oz Tecasafe Plus Ripstop material provides the perfect balance between protection and comfort. Each feature in these wildland fire pants was specifically designed to battle against heat, sweat, and discomfort. Day or night – the Vector Wildland Fire Pant craves the fire line. Tecasafe® Plus 700 material provides maximum comfort, protection, and durability. Day or night – the Vector Wildland Fire Pant craves the fire line. Tecasafe® Plus Ripstop 7oz material provides maximum comfort, protection, and durability.